SOLD OVER ASKING! 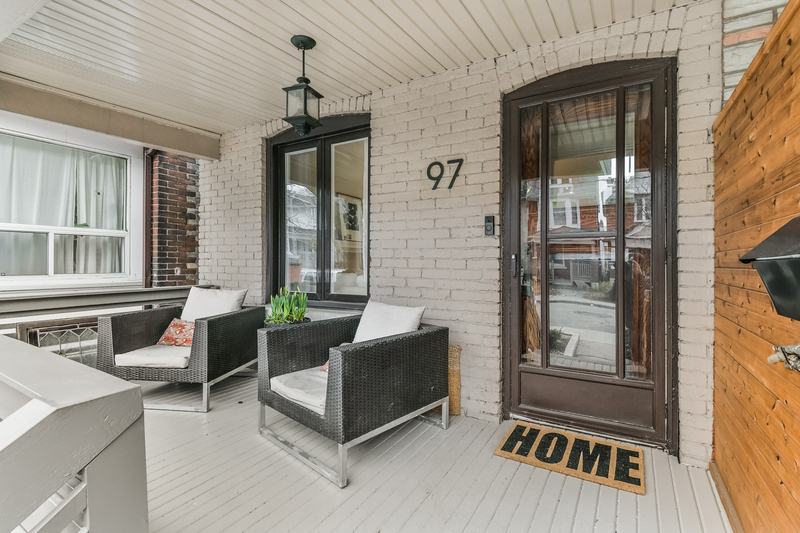 FABULOUS LESLIEVILLE FAMILY HOME! This charming and attractive renovated three bedroom semi boasts both style and function! Open concept and bathed in natural light! New engineered wood floors on the main, bright white eat-in kitchen with loads of cupboards! Generously proportioned rooms with high ceilings, including a king-sized master with wall-to-wall closets! Extra large middle bedroom too! Owners have completed numerous recent improvements including new windows, flat roof resurfaced, furnace and central air. Gorgeous professionally landscaped low maintenance front & rear yards. Imagine summer entertaining here! Savour all that Leslieville offers - unique shopping, fab food purveyors, restos, parks and great schools! Plus easy TTC and highway access. Be downtown in no time. And last, but not least, Coady Ave is a super family-friendly street with the very popular annual street festival! Inclusions: Two fridges, two stoves, dishwasher, built-in microwave range hood, washer, dryer, all light fixtures, all window coverings, master bedroom armoires, storage shed, central air conditioning. Exclusions: Any items belonging to the tenant.